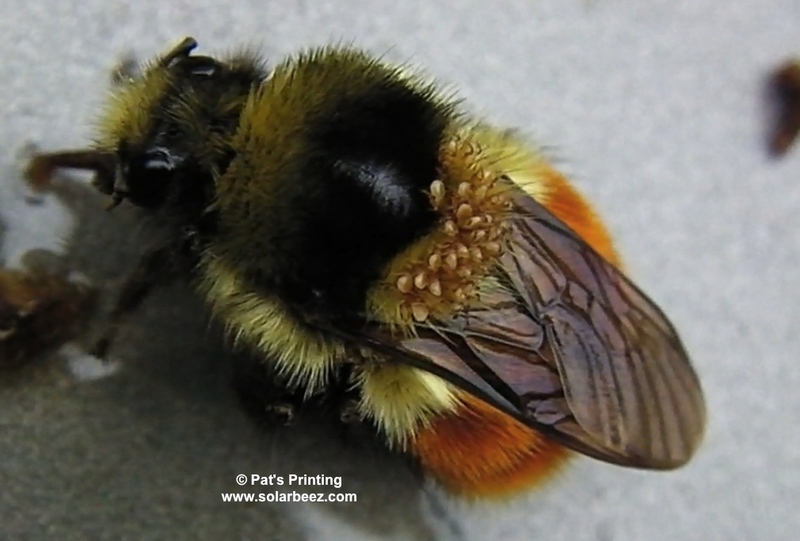 February 13, 2014…This bumble bee (bombus Melanopygus, I believe) was sipping honey when we noticed all the mites on her back. We would like to try to remove them…Does anyone have any ideas of how to accomplish that? Worried about Bees? Plant some Flowers! 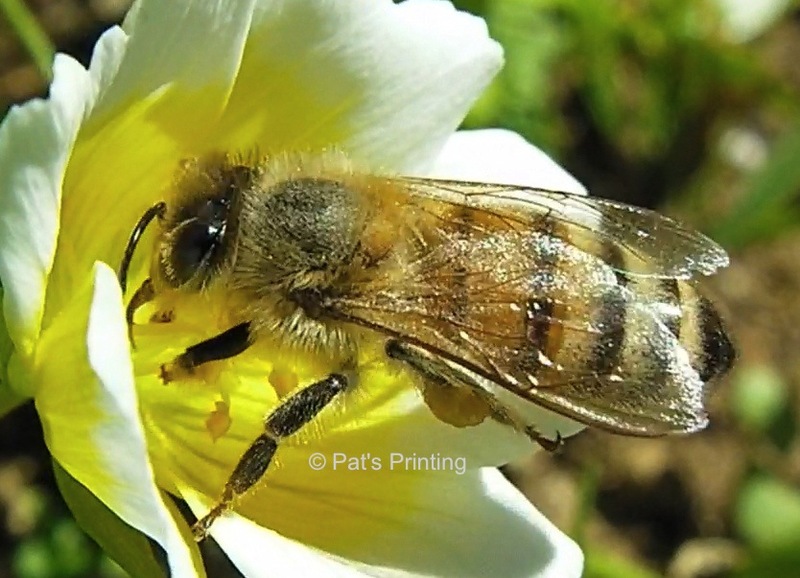 Last year in June, before the deer discovered it, the bees were on the Meadowfoam everyday. 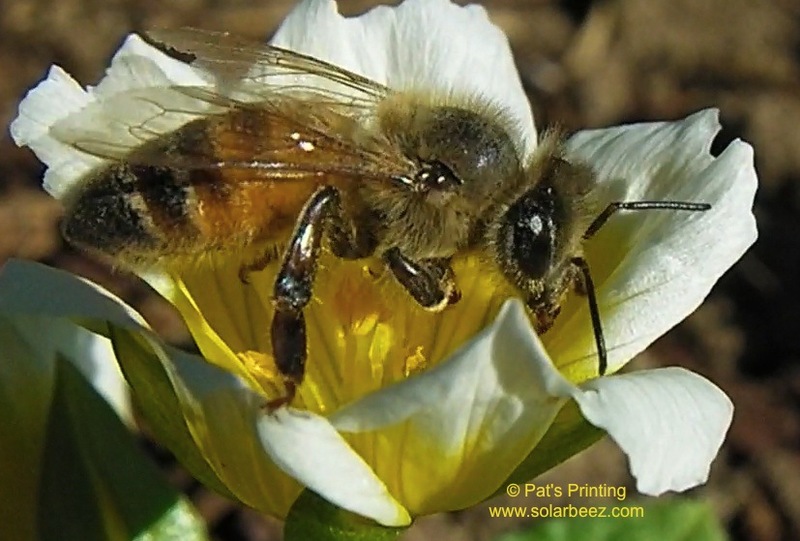 If you’ve ever watched the bees on a Poached Egg Meadowfoam (Limnanthes Douglasii), you will want to grow some for your bees. Last year I bought 12 plants from my friendly nursery (101 Plants). The bees were on them everyday. Unfortunately, the deer discovered them, and mowed them down. This year I’m happy to say I found a source for seeds. I’m buying 1000 seeds for under $5.00 from Outside Pride in Oregon. With that many seeds, I can scatter them in quite a few areas (fenced in, this time). The bees will love them and so will I. Another photo taken shortly before the deer decided to sample it last year. I was under the mistaken impression that Meadowfoam was grown mostly in Oregon and Northern California, but I see the Royal Horticultural Society in Great Britain has a listing for it as a Poached Egg Plant. 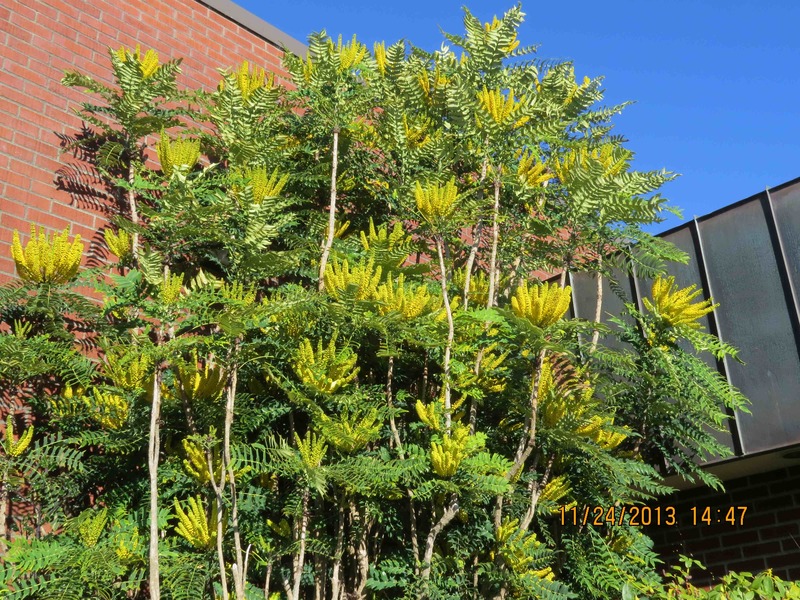 The oil from Limnanthes Alba is valuable…According to Oregon Meadowfoam Growers, meadowfoam oil is 20 times more stable than soybean oil, which means it does not deteriorate as readily when exposed to air. A gallon of meadowfoam oil is worth about $200 retail. 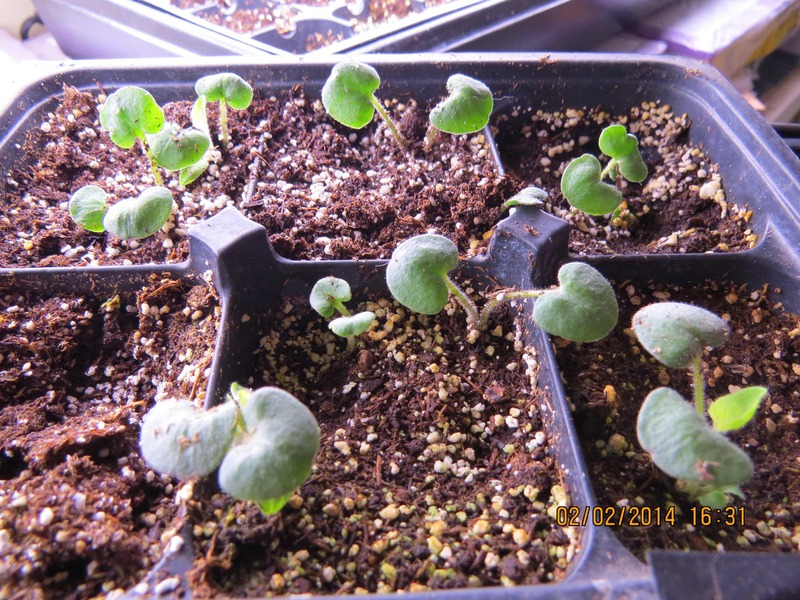 February 2, 2014…the salvia is looking strong. Footnote…we replaced some bulbs in the light stand with the full spectrum bulbs this year hoping to lessen the legginess. These look good. 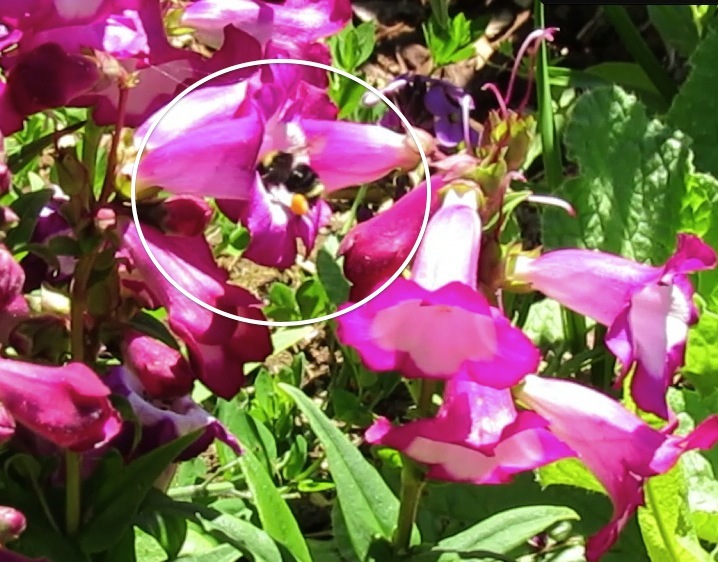 June 28, 2013…Penstemon is a great bumblebee attraction. 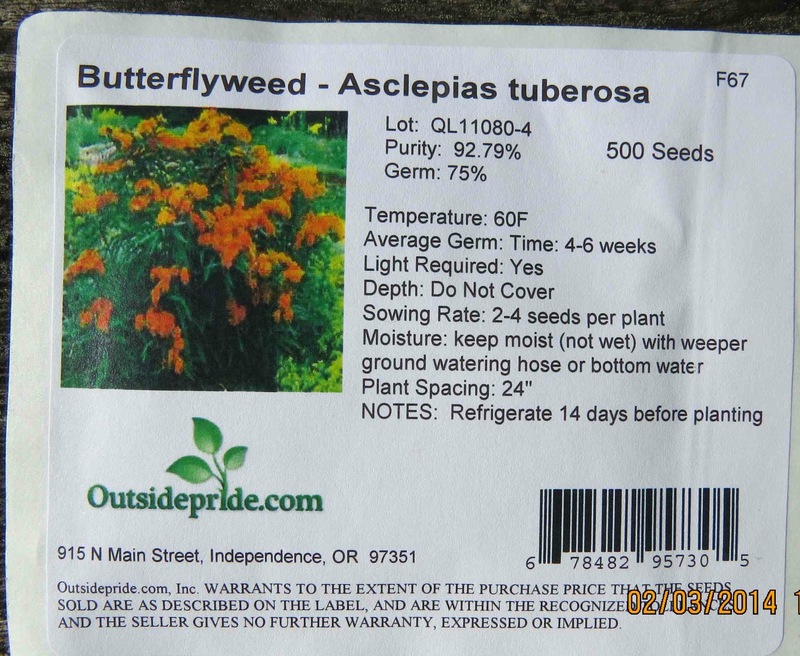 February 3, 2014…received my Butterflyweed seed package today. 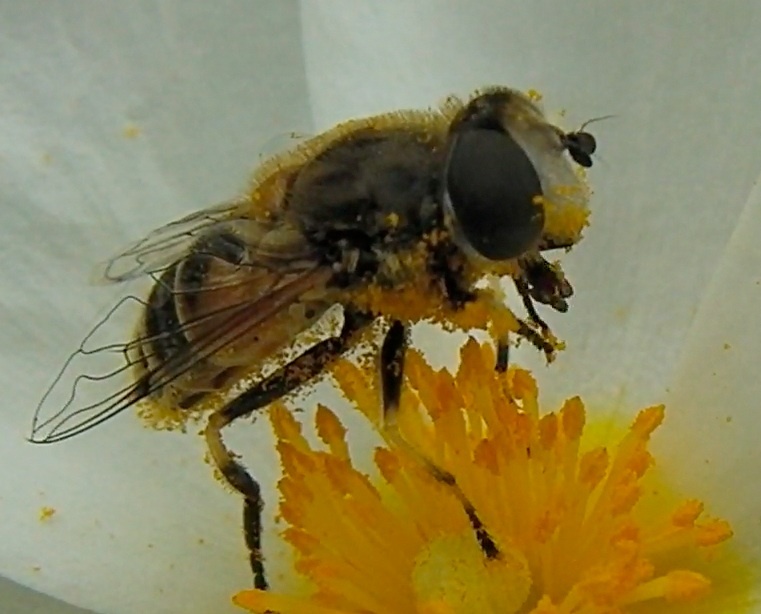 These bright flowers attract honeybees also. 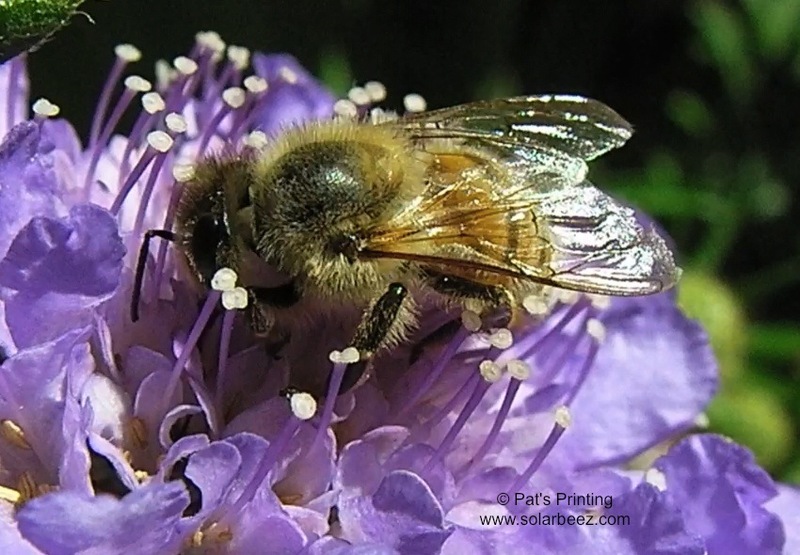 One of the beekeeping blogs I follow, written by Emma Sarah Tennant, featured a TED talk by Marla Spivak, showing the reasons why bees are disappearing and how we can help them by planting habitat. 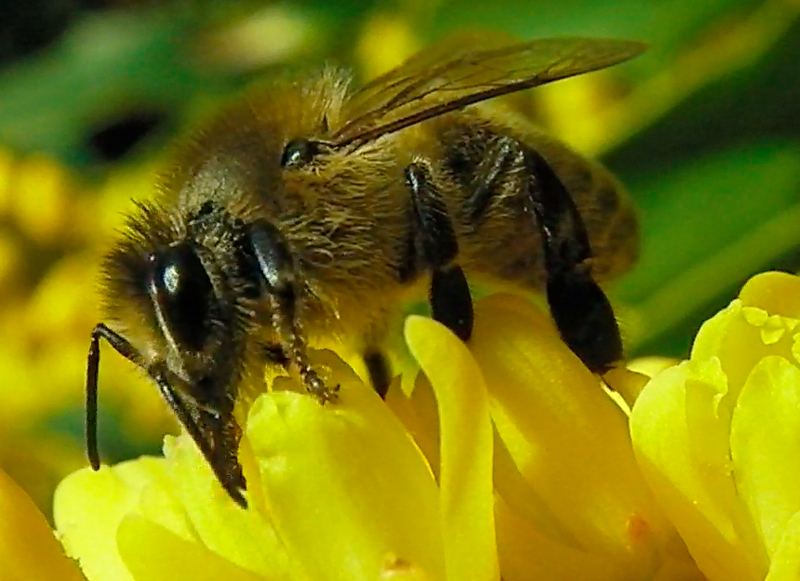 We are proud to be a small part of a growing movement to help our wild pollinators. “I’ve got the melody replaying itself over and over again in my head. Since you wrote it can you describe the background of it? I’m always curious how a person comes up with music, probably because I’m so NOT musical. You’ve got it, exactly! That ending was meant to sound tentative–the vulnerability of the earth asking for help, and the question lingering for us humans, will we help? This is the tail end of the kale flowers. 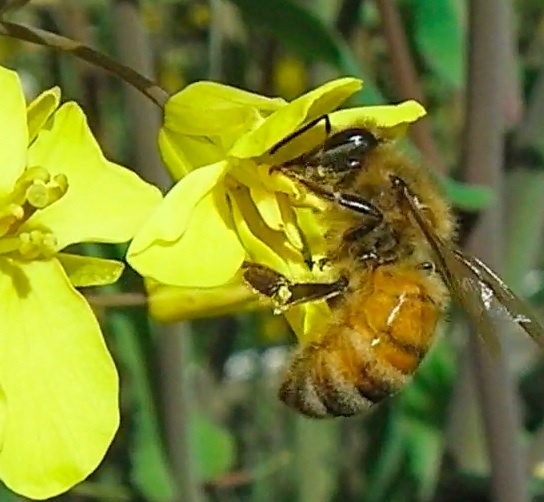 In April, the bees were so busy on the kale you could hear the happy humming. In June when I’m finally posting this, the kale has been pulled and hung so the seed pods can dry out. We’ve worked up a flower garden near the bee hives. 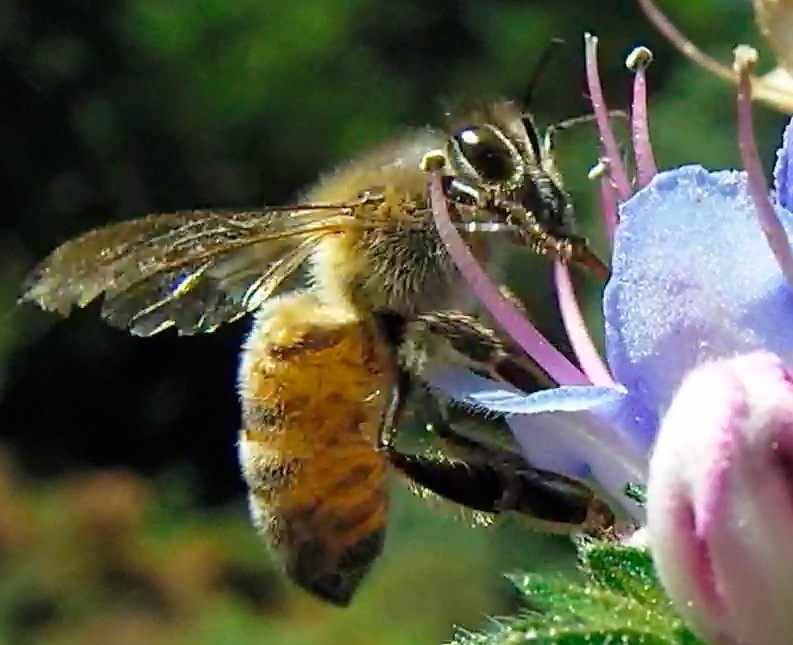 This honeybee is working an Echium which was given to us by Shigeo who was very helpful with his “Big Dog” chainsaw carving out my Bee-atrice log hive.